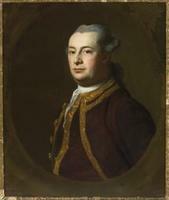 LEGGE, FRANCIS, army officer and colonial administrator; b. c. 1719; d. 15 May 1783 near Pinner (Greater London), England. Little detailed evidence survives of Francis Legge’s origins and private life, of his army career, or of his life after his recall from Nova Scotia in 1776. Only a distant kinship with a man who could make colonial appointments, and who recommended him somewhat surprisingly in 1773 to the governorship of Nova Scotia, prevented him from living and dying in anonymity. For a few brief and hectic years, however, Legge was in the spotlight. He was not a successful governor, in large measure because he was a product of 18th-century British ruling-class nepotism and patronage, unable to comprehend the rules of a society where men were forced to make their own careers by whatever means came to hand. The real conflict which developed between Legge and the Nova Scotian oligarchy from 1774 to 1776 was not between virtue and corruption, but between two incompatible views of how one managed to survive and prosper. Legge’s early military career was undistinguished. He became an ensign in the 35th Foot in May 1741 and on 16 Feb. 1756 obtained a captaincy in the 46th Foot, serving through the American campaigns of the Seven Years’ War without distinction or promotion. He achieved his high point, the command of five companies at Trois-Rivières, in July 1761 and was considering retirement in 1765 because of the difficulties of advancement. His career prospects brightened, however, when his distant kinsman the Earl of Dartmouth (the exact relationship is not entirely clear) became president of the Board of Trade in July 1765. Around 1766 Dartmouth received the detailed proposal for action requisite from every suitor for patronage – “Captain Legge’s proposal of a Company of 100 Axmen, to make and preserve roads in the interior parts of North America” – and, soon afterwards, a letter requesting assistance in purchasing the majority of the 28th Foot. Although Legge did not gain the post in the 28th, he was mysteriously promoted major of his own regiment on 13 April 1767. In 1772 Dartmouth was appointed secretary of state for the American Colonies and, like all 18th-century ministers, he remembered his clients, since “Great Men” measured their power largely in terms of their ability to attract and place supporters. Legge was offered two posts not yet actually available: the superintendency of southern Indians when the expected death of incumbent John Stuart occurred and the governorship of Pittsylvania, a proposed settlement on the Ohio River. He also found support for his efforts to obtain a lieutenant-colonelcy; he was able to purchase the rank in the 55th Foot in 1773. When in that year Dartmouth suggested that he succeed Lord William Campbell as governor of Nova Scotia, Legge jumped at the chance. It was the first concrete offer made to him; the sorts of uncertain sinecures which had been bandied about demonstrate that the Earl did not have great plans for or much confidence in his kinsman. Nova Scotia was an opening, albeit not one of the preferred posts in the empire, and Legge was a client. The match was not entirely unreasonable. Legge was a soldier, and Nova Scotia a frontier colony of military importance. Having no influence of his own, he would be totally dependent on his superior and hence loyal. Unfortunately, as one of his more sympathetic later chroniclers, John Bartlet Brebner*, has observed, Legge was basically a stupid man. He completely failed to understand the dynamics of Nova Scotia politics and what was expected of him as governor. Nova Scotia was run by a small but amorphous group of merchants based in Halifax under the London patronage of Joshua Mauger, one of its former members, and the local direction of Lieutenant Governor Michael Francklin. Most of this group were swashbuckling entrepreneurs who had been initially attracted to Nova Scotia by its lack of rules and structure. They were not particularly polite or genteel, and they had to work hard to wrest success from the limited public and private resources of the province, on which demands were heavy. Prominent everywhere in public positions (John Butler and Jonathan Binney* sat on the Council; John Newton and others were assemblymen), the members of the clique engaged in much mutual patronage. They were the sorts of local figures who dominated nearly every society and government in colonial North America. Royal governors appointed from outside could either cooperate with such an oligarchy, a choice made by most successful governors, or do battle with it. In any conflict at any time the governor was at a substantial disadvantage, but he was particularly so in the early 1770s, when many of the American colonies seemed to be teetering on the verge of rebellion, and especially so in Nova Scotia, where there was no alternative political faction such as a “country” party of agrarian interests with which to cooperate. Whatever Dartmouth may have told Legge before his departure for America about being tough-minded and independent, the British government above all wanted political quiet, and that requirement demanded an alliance between the governor and the local merchant élite which ran the province. Legge failed to produce that alliance. Part of the reason was his assumption of social superiority to the élite. As a soldier, he had an “honourable” occupation for a ruling-class Englishman; in Britain, kinship and connections were far more important than ability or energy, and individuals in “trade” seldom achieved political power. Moreover, in his developing opposition to the oligarchy there was always more than a faint aroma of inconsistency and bullying, a point his opponents were quick to exploit. 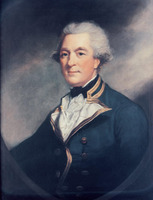 Legge arrived in Halifax on 6 Oct. 1773 aboard the brigantine Adamant. 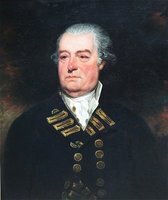 Soon after, the House of Assembly voted on a case which would become central in Legge’s downfall, declaring on the 21st that “the charge of £75 per Annum to Jonathan Binney Esquire for being first Magistrate at Canso, is and has been repeatedly disallow’d by this House.” Funds to pay Binney had been allocated in 1764 for one year only, argued the assembly, and he had been illegally deducting his salary from his customs receipts. Legge was in no position to understand the intricacies of the Binney dispute, which was only part of a long argument between assembly and Council over the control of provincial funds, and he wrote to Dartmouth supporting Binney as a “serviceable and necessary” magistrate who seemed to be doing his job at Canso. He then proceeded to work fiercely to find out about his province and its governance. Unfortunately for himself, he was not content to identify the sources of local power in order to make peace with them; he also wanted to know who was abusing that power. The first year of Legge’s tenure was a busy one. 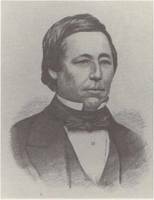 He tried to find a way for Nova Scotia to benefit from the boycott which the southern colonies were imposing on trade with Britain, but his hope that the province would replace New England in the triangular trade with the West Indies proved unjustified. Moreover, the British government refused his request for a grant for the construction of roads, which he was eager to advance in order to improve communications and trade. In the political field, Legge looked for friends in the group of assemblymen who should have been the “country” party, those gentlemen like Henry Denny Denson and Winckworth Tongs who represented constituencies outside Halifax. He also sought legal advice and a legal adviser from home to replace Attorney General William Nesbitt, citing the latter’s inability and his laxity in collecting debts. In addition, he advocated changes in such provincial institutions as the lighthouse on Sambro Island and the orphan house in Halifax. In the latter case, an effort to secure money for repairs led to a new contract at reduced salaries for the supervisors, Richard Wenman and his wife, and elimination of the fee for the visitor, the Reverend John Breynton. Alterations in such institutions were potentially troublesome for the Halifax oligarchy, and they increasingly pointed to the fact that the governor threatened the oligarchy’s patronage system. Each step made enemies; Legge’s papers were rifled as early as March 1774. He finished the job of alienating the élite by acquiescing in the Council’s decision in November to appoint a committee to audit the provincial books and by attempting to influence the results. Nova Scotia had suffered from a large debt for many years, a constant problem for every governor. 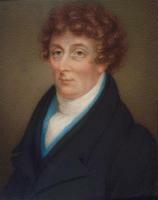 Not surprisingly, the committee, which included John Day, Charles Morris, and the new solicitor general James Monk*, found few records surviving, and it attempted to reconstruct them from other official sources, a process which uncovered substantial irregularities and shortages [see Benjamin Green. There were some legitimate explanations for the bad practices, and Legge might have found considerable support for the institution of a better system for the future. Instead Monk, with Legge’s backing, began looking for villains and attempted to recover the missing funds by suing defaulters, a difficult process in the absence of an equity court, which could sit without a jury; juries in colonial North America were notorious for backing local residents against the efforts of government to bring them to account. 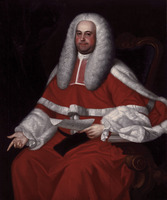 Binney and Newton were eventually tried before a jury which Legge found it necessary to pack – because of the influence “among the common people” of the two defendants, he informed Dartmouth, a “special jury” of the most reliable of the inhabitants had been assembled – and to supervise by ostentatiously sitting in the gallery of the courthouse throughout the trial. Judgements were obtained against both men, but Binney refused to put up surety for his release and remained with his family in jail, a martyr to persecution. Legge further compounded the obvious comparisons with “Stuart despotism” by creating on his own authority a court of exchequer with equity jurisdiction to try further default cases. By the spring of 1775, when the Americans were erupting into rebellion, Legge had alienated the Halifax élite to the point where he had virtually lost control of the government, a fact symbolized by the problems he had with the 1775 legislature; his best efforts to be conciliatory were seen as signs of weakness. The assembly, which until then had cooperated reasonably well with the governor, decided to petition the Privy Council “on the subject of the Grievances the People of this Province labour under.” One can only speculate on the reason for this reversal of opinion, but Legge’s high-handed conduct of Binney’s trial undoubtedly had much to do with it. The Council also turned against him. Although the majority of its members wanted to know the state of the provincial finances, they did not intend to collect outstanding debts or to bring those involved to court. During the summer session the assembly cleared many of the defaulters and reduced the amounts owed by others, and both Council and assembly petitioned the British government to remove Legge because of the danger of rebellion if he continued as governor. Fortunately for Britain, those critical of Legge preferred to seek relief in Whitehall rather than in Philadelphia; firm economic ties to Britain ensured the loyalty of most Halifax merchants. Equally fortunately, the Americans decided that their lack of naval power made it impracticable to support the group headed by Jonathan Eddy* in Cumberland County or that in Maugerville (N.B. ), both of which were petitioning for armed assistance in throwing off the British yoke. The rebel decision was especially happy for Legge since the widespread desire for neutrality outside Halifax had made it difficult for him to recruit the Loyal Nova Scotia Volunteers, a provincial regiment he had been commissioned to form, or to assemble the provincial militia. 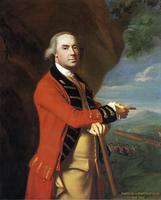 Nor could he offer much in the way of men or supplies to Lieutenant-General Thomas Gage in Boston. Soon after Legge prorogued the 1775 legislature, the contending parties turned to Whitehall to make their respective cases. Unfortunately for Legge, Mauger had the ear of one of the permanent under-secretaries at the Board of Trade, John Pownall, and Dartmouth had been succeeded by Lord George Germain, whose analysis of the situation – “. . . the Universal Cry is against Mr. Legge, & . . . the Province will be lost, utterly lost; and, if I take no notice, of these matters, should any mishap befall, tho’ the Governor, is [ever] so good a man, . . . they’ll on purpose counteract his measures, must I be answerable” – was awkwardly expressed but irrefutable at the time. Legge was ordered home in February 1776 to answer charges and left the province in May. The Board of Trade, after a long hearing, decided his fate in July, assessing the situation along the same lines as had Germain; it refused to countenance the specific accusations against him but found him “wanting in that Gracious and Conciliating Deportment which the delicacy of the times and the Tempers of Men under agitation & alarm more particularly demanded.” The Board emphasized that there was no evidence of “serious and well grounded matters of misconduct” to prevent the royal confidence on future occasions; Legge had, indeed, been warmly received by George III and Germain the day he had arrived in London to defend himself. But he was not permitted to return to Nova Scotia, for his recall had given “such satisfaction” to the province that he could hardly be allowed to resume the helm. As a reward for its loyalty, the Halifax élite was permitted, under a series of naval lieutenant governors who took little interest in local matters, to govern itself until the crisis of rebellion was resolved. Not until 29 July 1782 did Legge lose his appointment to John Parr. He died ten months later. The Nova Scotia career of Francis Legge well illustrates the difficulties which faced the first British empire and its appointed representatives in governing the North American colonies. Legge’s problems were in no way unique, and the speed of his inevitable downfall (the only unusual feature) is attributable mainly to his own shortcomings. PAC, MG 11, [CO 217], Nova Scotia A, 95, p.151; 96, pp.113, 153; [CO 220], Nova Scotia B, 15, pp.185, 190, 191; MG 23, A1. PANS, RG 1, 44, docs.1, 6, 33, 38. Gentleman’s Magazine, 1783, 453. Nova-Scotia Gazette and the Weekly Chronicle (Halifax), 12 Oct. 1773, 29 March 1774. F.-J. Audet, “Governors, lieutenant-governors, and administrators of Nova Scotia, 1604–1932” (typescript, n.d.; copy at PANS). B. D. Bargar, Lord Dartmouth and the American revolution (Columbia, S.C., 1965). Brebner, Neutral Yankees (1969), 180–212, 215–16, 222ff., 229–46, 270ff. W. B. Kerr, The maritime provinces of British North America and the American revolution (Sackville, N.B., [1941? ]; repr. New York, ), 62ff. L. W. Labaree, Royal government in America: a study of the British colonial system before 1783 (New Haven, Conn., 1930). J. K. Martin, Men in rebellion: higher governmental leaders and the coming of the American revolution (New Brunswick, N.J., 1973). V. F. Barnes, “Francis Legge, governor of loyalist Nova Scotia, 1773–1776,” New England Quarterly (Brunswick, Maine), IV (1931), 420–27. J. M. Bumsted, “LEGGE, FRANCIS,” in Dictionary of Canadian Biography, vol. 4, University of Toronto/Université Laval, 2003–, accessed April 24, 2019, http://www.biographi.ca/en/bio/legge_francis_4E.html.